During steel production process, there is a possibility of encountering different morphology and chemistry in a given sample and these aspects may affect the quality of product. For a trained analyst, conventional assessment of inclusions in a processed material could almost take a week using microscope methods. Nevertheless, the examination of single or multiple samples may not be sufficient to analyze the impact of inclusions on the process or to assess the remedial action required. In spite of the requirement to understand inclusion control, fast and precise analysis technique that could provide a comprehensive inclusion data or help to acquire the number of required samples to enhance product quality and productivity does not exist. To address this issue, RJ Lee Group teamed up with several industry partners, which included both small and large organizations. These organizations had to make smart and informed decisions on how to implement inclusion control to create high-quality steels, which could give them a competitive edge in the market. This joint initiative, supported by a U.S. Department of Energy (DOE) grant, resulted in the development of detailed inclusion analysis on a quick turnaround time. 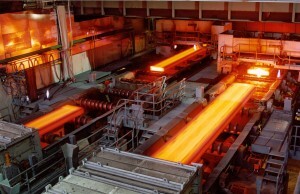 In steel production, this would become an important part of process monitoring. The steel industry required an analytical tool that can analyze the inclusions in processed samples; offer shape, size, chemistry and composition; and report the results that are clear, concise and easy to comprehend. Inclusions at varied stages in the process do not remain the same, and hence it becomes necessary to identify their chemistry and morphology in order to understand whether the problem lies with the process or material. RJ Lee Group has specifically designed the Automated Steel Cleanliness Analysis Tool (ASCAT) to meet these needs. An automated digital scan generator combined with a scanning electron microscope (SEM) that uses intelligent software to imitate specialized knowledge, was developed to identify an inclusion and simultaneously determine the morphological and chemical properties, and then divide them into different morphology and chemistry classes. With the help of this technology, as much as 1000 inclusions can be examined within 45 minutes. Steel companies will now be able to get detailed information on multiple samples in comparatively less amount of time; this will allow them to monitor each stage of their process instead of just one. The American Institute of Steel Technology (AIST) has presented an award for this innovation, which was the topic of contributions to peer-reviewed literature. With the combination of inclusion analysis results and process data, one can understand the role of inclusions in the process and detect the probable cause of the issue. Leveraging this knowledge, smart decisions can be made on how to manage inclusion formation or how to assess the impact of process modifications on content or inclusion production. The ASCAT technology is provided to steel companies to evaluate and enhance the quality of products which in turn results in better productivity and subsequent cost savings. For instance, one particular steel company utilizing ASCAT system had significantly improved its production, which positively impacted its process. Yet another steel firm bought an ASCAT system so that its inclusion analysis can be performed at its research center. ASCAT technology offers fast, precise and comprehensive inclusion data that enhances both product quality and productivity in the steel industry. For nearly 30 years, RJ Lee Group, Inc. (RJLG) has excelled at providing analytical services, technical consulting, information management, and expert testimony in materials characterization and forensic engineering. Our services are sought by leading organizations in academia, industry, and government. Clients choose RJLG because of our reputation as an innovative solutions firm that is reliable, ethical, and committed to quality. The end result is outstanding customer satisfaction. RJ Lee Group applies the most appropriate and efficient testing methods to deliver scientific resolution for a wide range of industries.Using state-of-the-art analytics, our multidisciplinary staff addresses diverse needs — including regulatory compliance, quality control, materials R&D, industrial hygiene and environmental health and safety.